Let's get visual. 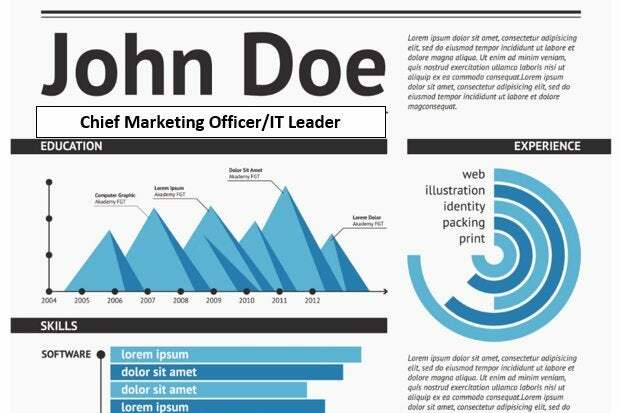 Charts and graphs can bring an eye-catching edge to your resume, especially if you're an IT sales or marketing pro looking to highlight your revenue-generating skills. Here, expert resume writer Jennifer Hay explains how to do it effectively – because it can be tricky. If you're trying to catch a recruiter or hiring manager's eye, one of the best ways is to use charts and graphs in your resume. These visual aids are especially helpful if you're an IT sales or marketing pro looking to visually describe your business or revenue-generating acumen, says career development specialist and resume writer Jennifer Hay, with IT Resume Service. While charts and graphs aren't appropriate in every resume, when used correctly they can send a powerful visual message to potential employers, says Hay. "When words don't communicate your thoughts concisely or deliver the desired impact, there is another step you can take to market your professional brand. A graph or chart that illustrates your stellar sales numbers, resource savings, workforce productivity increases or efficiency upgrades in business processes can evoke a positive perception of directly impacting the bottom line," says Hay. But delivering that positive perception requires great attention to detail when creating charts and graphs to illustrate accomplishments. When Hay first saw Richard Hanson's resume (name, address and company names have been changed to protect privacy), it was crowded with confusing statistics and figures; the numerous charts and graph originally included didn't do much to concisely communicate his value as an IT sales pro. Though Hanson successfully grew revenue in each of his previous roles, it was his earliest job as CTO of Government Solutions with Aspect Software that demonstrated the greatest growth. Unfortunately, when that experience was included in a graph with his recent work history, it overshadowed his more recent success, Hay says. She quickly went to work revamping the graph to make it more impactful. "The revenue gains during his earlier years at Aspect Software are so much higher than recent years. The early extreme gain, when included, diminishes the visual impact of his more recent jobs - that's not the story I wanted to tell. Instead, I removed his Aspect Software experience. By including work history from only the last 12 years, it creates a more compelling story," Hay says. Removing work experience is an acceptable practice -- in fact, in the interest of length and brevity, it's best to include only your last 10 years of work experience -- anything beyond that most likely isn't relevant to a recruiter or hiring manager. Charts and graphs aren't all created equal. Certain formats are better at conveying specific types of information quickly. Using the wrong one can have the opposite effect -- even if the data is stellar, the format can be your downfall. In Hanson's case, for his second-most-recent employer, Woodbridge Networks, he attempted to chart a comparison between his yearly sales quotas and the amount of revenue he actually delivered. Unfortunately, he made a poor format choice that could have confused and frustrated a recruiter. "Richard initially used the wrong technique. He chose to use stacked columns that are designed to show proportion, when what he was trying to do was show a differentiation between his quota and revenue," says Hay. So she went to it and replaced Hanson's original graph with one that more vividly showed the differences between the minimum quota and the actual revenue Hanson delivered. Once the data was in the correct format, though, she realized it might be a mistake to use this chart. "My attempt used clustered columns side by side, which are better-suited to comparisons, but still fail to tell a good story with Richard's data. Unfortunately, it shows that the earlier years of his career were more successful than later years; a message we don't want to convey. I ended up leaving this chart out of his final resume," Hay says. Hay needed a visual representation of the data that could demonstrate continuous growth while masking the fact that his more recent years didn't show as dramatic improvement as in earlier roles. Her solution was to create a line graph based on the data, which delivered the information in an easy-to-digest format and highlighted that the growth in revenue outpaced Hanson's quota increases. "The 'Continuous Growth in Revenue Over Growth in Quota' graph I used in the final version of Richard's resume (see above) shifts discrete year-over-year data to cumulative data, and changes from a column graph to a line graph. This way, I was able to show growth trends in both revenue and quota and that revenue growth outpaced quota growth. It's the exact same data, but now it tells a compelling story rather than a confusing, mundane one," Hay says. Visualizing the data for Hanson's most recent employer, Software Solutions presented the biggest challenge for Hay. Hanson originally included a confusing graph that raised more questions than answers. There wasn't a legend, so it was initially difficult to tell what data the graph was trying to convey, and why. In addition, the chart didn't have a title, making it even more confusing to determine what it was trying to get across. When she looked more closely, the graph had a myriad of errors with labeling and with the data itself, things literally didn't add up. "I had so many questions when I saw this graph initially. It's really confusing to have 'Quota' at both ends of the x axis. Why? And what is that trying to tell me? Why don't the sums of the Hardware, Software and Margin quotas add up to the total quota number? Why does the y axis start at -10, instead of at zero? Why use stacked bars in the Quota column on the far right? That makes it appear that the sum is a meaningful number -- but how is it meaningful?" Hay says. She set about digging into the data Hanson provided, and ascertained that he was trying to show a transition in his current employer's business model -- from purely a hardware vendor to one that offered hardware, software and services to customers. His graph was intended to show how his efforts as a regional sales Director contributed to those efforts. By separating the data into two graphs, Hay was able to show how Hanson's efforts delivered a greater portion of company revenue through software sales in consecutive fiscal quarters, and how his role had increased company software sales as a percentage of total sales -- both strong contributions to the overall corporate strategy. Hay also points out a few other issues with Hanson's original 'green monster' graph that are important to note. "The color choices in his original graph for quota and attainment are too similar. If you're going to use colors, make sure a reader can easily tell the difference. Another thing to remember is that, as a general rule, green's not a great color choice for visual aids. Around 8 percent of men are color-blind and can't see the color green -- try and stay away from it," Hay says. If you plan to incorporate these visual elements, it's always a good idea to have a professional review your work to ensure you're getting the right message across, Hay advises. But while charts and graphs can be difficult to get right, incorporating these types of visual aids into your resume can be a great way to capture the attention and interest of employers, recruiters, and other hiring professionals.